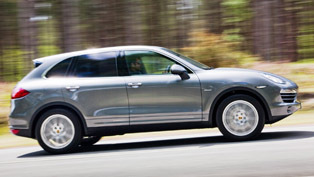 Porsche has presented the Cayenne Turbo S at the 2013 North American International Auto Show. 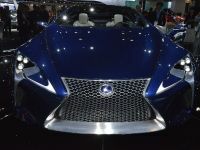 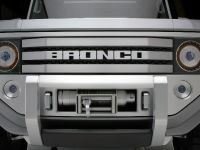 The mighty SUV is expected to hit the market this spring with pricing starting from $146,000. 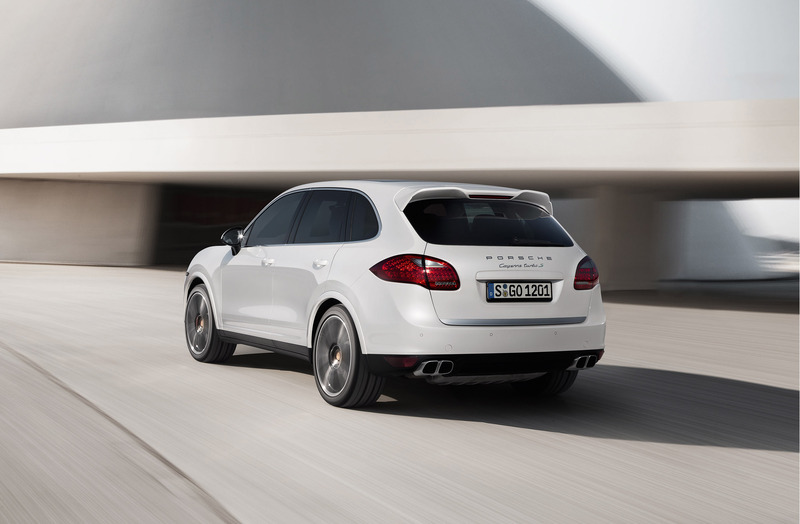 You will may think that is too much, but the new Cayenne Turbo S offers unmatched performance and luxury. 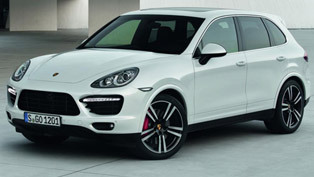 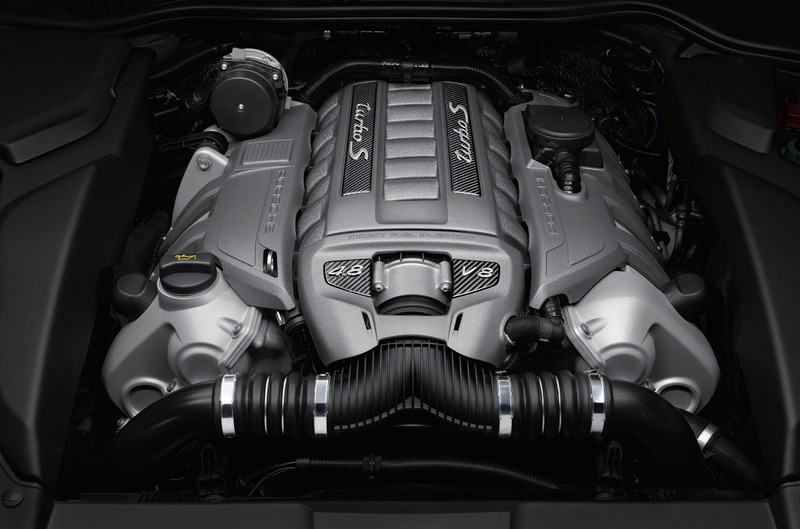 2013 Porsche Cayenne Turbo S is powered by the well-known 4.8 liter bi-turbo V8 with 550HP (404 kW) at 6,000RPM and 747Nm (553 lb-ft) at just 2,250RPM. 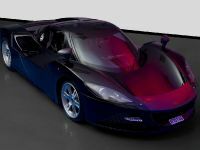 0-100 km/h in 4.3 seconds and a top speed of 283 km/h (176 mph). 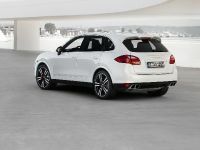 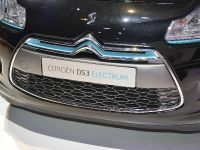 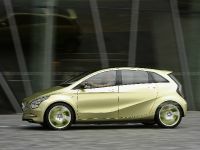 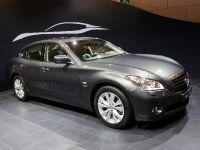 The engine is paired with an 8-speed Tiptronic S transmission. 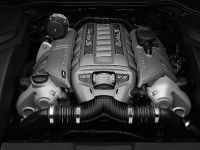 Gear changes are rapid and virtually unnoticeable, resulting in uninterrupted thrust in all situations. 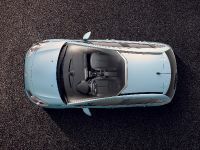 Continuous power to the wheels without interruptions or hesitation also benefits traction at each wheel, enabling aggressive driving even in full automatic mode. 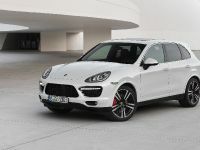 The standard auto Start/Stop function demonstrates that efficiency is a priority at Porsche, even in vehicles with extreme performance like the Cayenne Turbo S.
Other features for maximum dynamic performance include Porsche Dynamic Chassis Control (PDCC), Porsche Torque Vectoring Plus (PTV Plus) and the Sport Chrono package as standard. 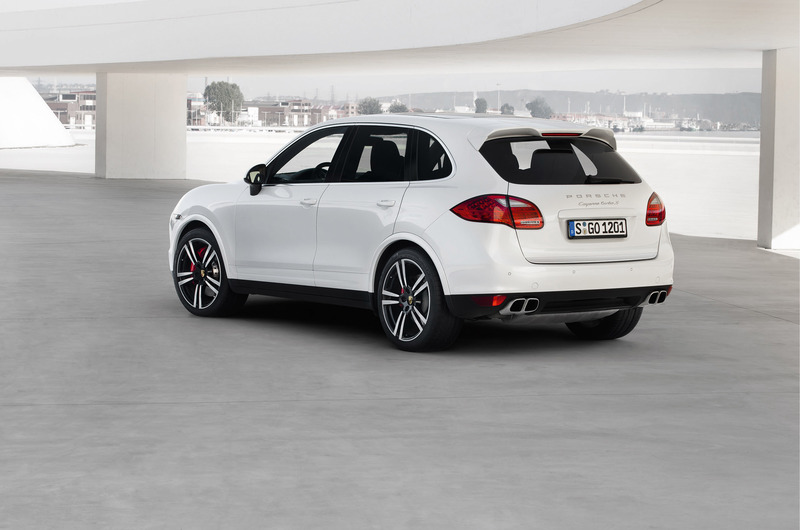 The new Cayenne Turbo S comes with the Sport Chrono Package as standard. 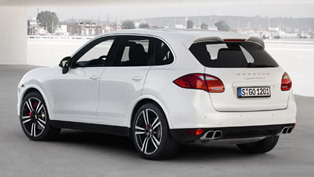 Exterior features and equipment clearly identify the Cayenne Turbo S as the flagship Cayenne. 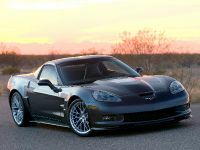 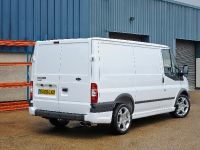 Many exterior features such as the air intake grilles, headlight housings and mirror components are finished in high-gloss black. 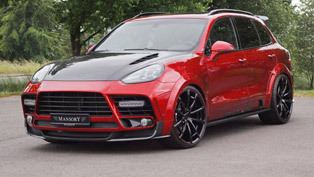 Exclusive to the Cayenne Turbo S are standard 21" 911 Turbo II wheels painted gloss black on the inside and featuring the Porsche crestin full color. 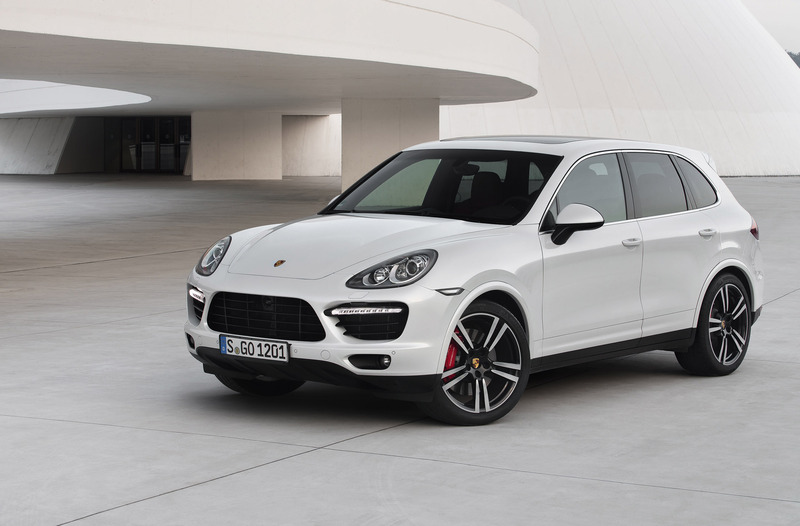 Porsche designers also crafted two-tone leather interiors in new colors and combinations specifically for the new Cayenne Turbo S. Available combinations include black/carrera red and black/luxor beige. 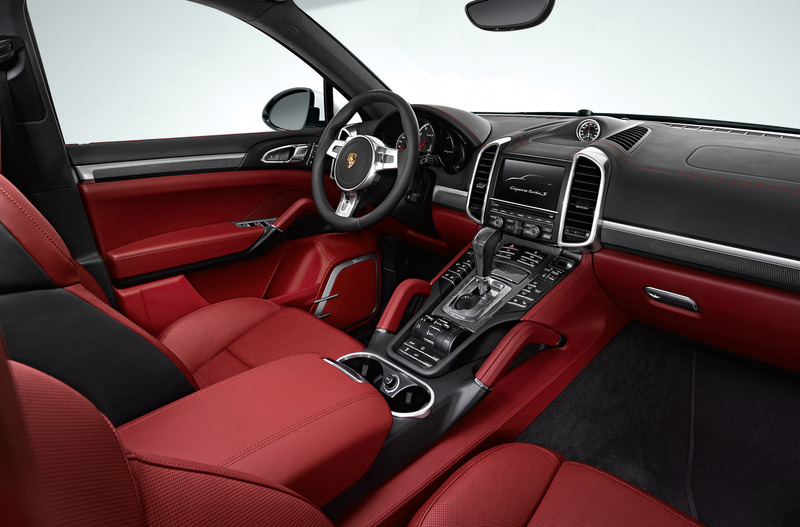 Enhancing the new leather interiors, and exclusive to the Cayenne Turbo S, are decorative stitching in contrasting colors (also carrera red and luxor beige). 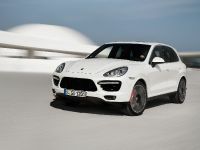 Upon request, the Cayenne Turbo S may be further customized with items like the Carbon Handles interior trim package or a carbon multifunction steering wheel.